ManageByStats This Week - Issue 1817 “Information for the informed Amazon seller” ManageByStats This Week covers a selection of industry and Amazon news, along with updates, tips and tricks for ManageByStats. ManageByStats This Week - Issue 1816 “Information for the informed Amazon seller” ManageByStats This Week covers a selection of industry and Amazon news, along with updates, tips and tricks for ManageByStats. 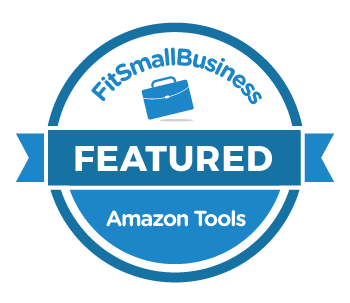 ManageByStats This Week - Issue 1809 “Information for the informed Amazon seller” ManageByStats This Week covers a selection of industry and Amazon news, along with updates, tips and tricks for ManageByStats. ManageByStats This Week - Issue 1810 “Information for the informed Amazon seller” ManageByStats This Week covers a selection of industry and Amazon news, along with updates, tips and tricks for ManageByStats. ManageByStats This Week - Issue 1811 “Information for the informed Amazon seller” ManageByStats This Week covers a selection of industry and Amazon news, along with updates, tips and tricks for ManageByStats. ManageByStats This Week - Issue 1815 “Information for the informed Amazon seller” ManageByStats This Week covers a selection of industry and Amazon news, along with updates, tips and tricks for ManageByStats. ManageByStats This Week - Issue 1812 “Information for the informed Amazon seller” ManageByStats This Week covers a selection of industry and Amazon news, along with updates, tips and tricks for ManageByStats. ManageByStats This Week - Issue 1814 “Information for the informed Amazon seller” ManageByStats This Week covers a selection of industry and Amazon news, along with updates, tips and tricks for ManageByStats.